Ask PreCentral.net: How Will I Sync to a Mac? I have an iPhone -- and love how contacts and calendar syncs wireless vis my mac to iphone and vice versa. Will the Pre have a similar way to sync that info? The long and short of it is this: yes, but probably not via Mobile Me. The webOS has this incredibly cool feature called Synergy that automatically syncs all of your data from multiple sources in the 'cloud' of the internet on down to your Pre. Some of that stuff will probably sync via 'Push' technology -- aka it will happen near-instantaneously just like it does with MobileMe. So far we're only expecting 'Push" to work with Exchange servers. The rest will likely be interval-based, i.e. it will update once an hour or however often you like. All of which is just some necessary background information before we hit the answer, which comes after the break! 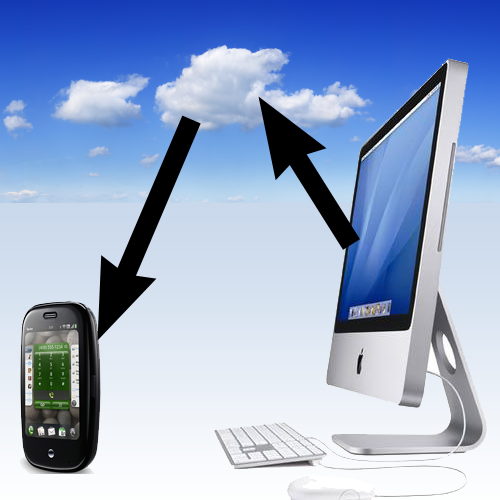 So the question for you is this: Will the webOS sync with MobileMe? Doubtful -- Apple and Palm aren't exactly BFF right now and Apple doesn't offer MobileMe sync to any devices besides desktops and iPhones. But there's good news too -- webOS will sync with Google and Yahoo!. You know what else will automatically sync with Google and Yahoo? Your Mac. So the thing to do, William, is set your Mac up now to sync with one of these services and you'll be Pre-pared for the Pre when it launches. The best part is it doesn't matter if you use these services for anything else, since the Pre can pull information from multiple sources, you can still keep your email wherever you like it. Contacts: Simply open your Address Book Preferences on your Mac, check the boxes next to the services you'd like to sync to, and then enter your information. Calendar: a little more complicated, but not bad. For Google, there is a handy set-up tool you can find by clicking on iCal on this page. It will mean that you need to be sure to only put your stuff in the Google calendars, but you can set up as many calendars as you like. Yahoo is a little more complicated to set up, but these instructions should get you started. Last but not least, you should definitely head over to our Pre Forums and hit up this thread, discussing exactly the topic you're wondering about.